Olive & Bean can be enjoyed in a number of ways. Please feel free to peruse our Breakfast, Lunch, and Afternoon Tea offering. to reach out directly before hand. Eggs poached or scrambled, crispy bacon, Lincolnshire sausage, grilled tomatoes, mushrooms, granary toast and your choice between a pot of tea or cafetière of coffee. Eggs poached or scrambled, veggie sausage, grilled tomatoes, grilled halloumi, mushrooms, granary toast and your choice between a pot of tea or cafetière of coffee. Poached eggs, smoked salmon & hollandaise sauce on toasted sour dough, topped with chives. Poached eggs with crispy bacon on toasted sour dough & hollandaise sauce. Poached eggs with parma ham & pesto on toasted sour dough topped with rocket. 3 scrambled eggs on granary toast. Add crispy bacon, Lincolnshire sausage, smoked salmon, veggie sausage or Halloumi for £2.50 per portion. 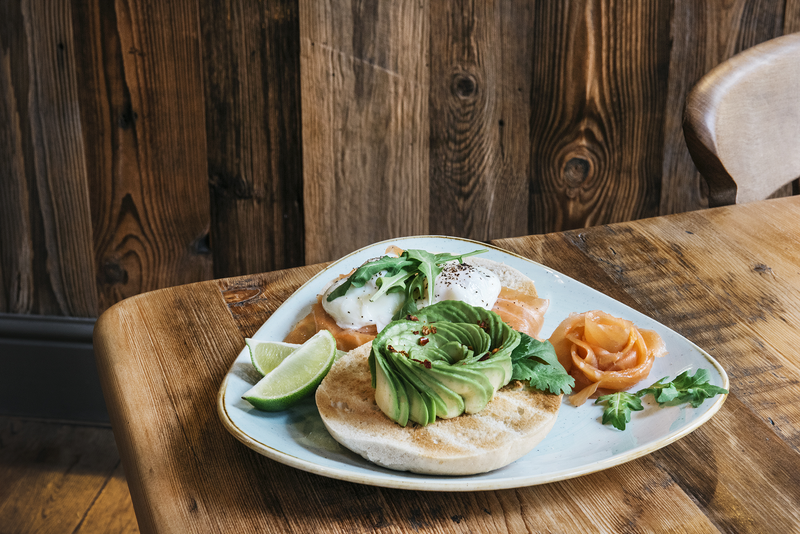 Add avocado or two poached eggs for £2.00. Classic eggy bread served with bacon & maple syrup. Stuffed eggy bread with banana, pecan nuts & maple syrup served with greek yoghurt. Smashed avocado with chilli, coriander and lime on toasted sourdough. Smashed avocado topped with cherry tomatoes, crumbled feta & basil with a drizzle of olive oil. Honey roast ham & emmental with wholegrain mustard in toasted sour dough. Cripsy bacon, Lincolnshire sausage, grilled mushroom & tomatoes. Cripsy bacon and mushrooms on toasted cibatta. Lincolnshire sausage & mushrooms on toasted ciabatta. Veggie sausage & mushrooms on toasted ciabatta. Sausages and veggie sausages contain gluten! Smoked salmon & cream cheese on toasted bagel. Crispy bacon & cream cheese on toasted bagel. • Chocolate chip, peanut butter & Banana. • Mixed berries & Maple syrup. Packed with nuts, seeds & dried fruit, served with greek yoghurt & mixed berries. Hot, toasted, and made to order with crisps & side salad. and are served with crisps & homemade coleslaw. and are served with crisps & homemade coleslaw and side salad. Served with crisps & homemade coleslaw and side salad. Spanish chorizo picante, honey roast ham, serrano ham and napoli pepper salami with Tracklements chilli jam. Served with salad garnish and freshly baked baguette. Spanish manchego, Serrano ham, chorizo picante and olives. Served with salad garnish and freshly baked baguette. Italian mozzarella, Parma ham, Napoli pepper salami and olives with salad garnish and freshly baked baguette. Honey roast ham, West Country creamy brie, Applewood smoked cheddar and Tracklements farmhouse chutney, with salad garnish & freshly baked baguette. Warm falafel, grilled Greek haloumi, peppers stuffed with soft cheese, flavoured houmous and warm toasted pitta bread. Grilled Greek haloumi, homemade houmous, Greek feta, olives, sun blush tomatoes and pitta bread. All our salads contain, mixed leaves, tomato, cucumber & peppers. Check out the chalk boards at our menu points for today’s offerings. – Chicken with tomato & onion chutney. – Beef horseradish & gherkin. Mixed olives in rapeseed oil. Supplied to us by Union Hand-Roasted Coffee! We use Arabica beans in all our coffees. Sourced from farmers across the globe, before being hand roasted, ground, blended, poured and finally enjoyed. All our beverages are served with organic milk from happy cows at Acorn Dairy. Ask for Oatly or Soya. A double espresso with just a dash of foamed milk. Served short or long. Espresso with steamed water. Served short with steamed velvet smooth milk. Espresso, foamy steamed milk and topped with chocolate. Espresso, steamed milk, with a hint of chocolate. Served in a French press available small or large. Chocolate and foamy steamed milk topped with chocolate. Still the best coffee in Newcastle just colder. Espresso, steamed vanilla infused milk and a vanilla sugar topping. Espresso, steamed ginger infused milk, and cinnamon topping. Spiced tea, steamed vanilla infused milk and cinnamon topping. Espresso, chocolate and raspberry infused milk. With honey, pineapple, blueberries and fresh orange juice. With kiwi, apple, pineapple, honey and yoghurt. With strawberry, raspberry, blueberry, yoghurt, oats, honey and skimmed milk. Fresh raspberries, low fat yoghurt, banana, oats, honey and skimmed milk. With apple, honey and skimmed milk. Strawberry and kiwi, honey and fresh orange juice. Everyday brew, Darjeeling Earl Grey, Peppermint, Chamomile, Lemon & Ginger, Super Fruit, Mao Feng Green, Licorice & Peppermint, Organic Rooibos, Organic Chai. Available by the glass small 175ml, carafe or Bottle. Good soft berry bruit flavors, with a hint of figgy flavours in the background. Lovely cherry and berry fruit aromas and flavours, very quaffable. A good fruity medium full bodied red with bags of flavour. Mouthfilling wine with bags of flavour, medium to dry. Zesty, tangy acidic structure with a crisp and refreshing finish. Delicate bubbles with lightfresh fruit flavours. All available by the bottle. Brewed in Belgium; crisp and mildly bitter with a dry finish. A crisp and refreshing wheat beer from Germany; an alternative to lager/ale. Distinct to Cologne; a very drinkable, soft hoppy beer. 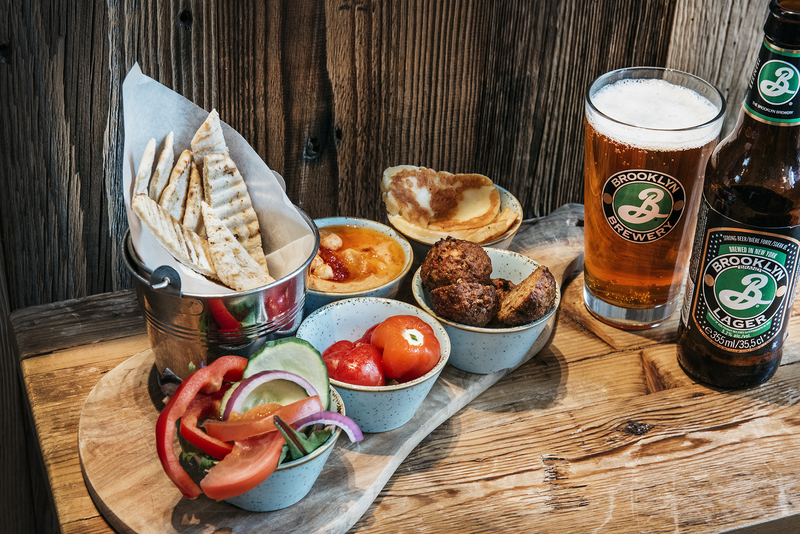 Brewed using a prohibition recipe, New York’s hometown beer is fresh and flavourful. Lightly sparkling, a true Devon scrumpy. A limonata pale. An ultra pale which emulates almost toxic levels of citrus zing. Expect sherbert dib-dab, lemon and lime and tropical pineapple. Smashed juice session pale. A hoppy tropical punch of grapefruit, pineapple and kiwi fruit pulp. Supercharged India Pale Ale. Rich/bright & amber/bronze with lots of American hop aroma. Distinctly bittersweet on the palate with a massive hop complexity fashioned deep within the IPS tradition. Ask for todays choice of soup. – Holmbury mature cheddar & pickle. – Italian mozzarella & pesto. Need a sweet treat to get you through the day? All our cakes are baked fresh here daily. slabs, slices, cakes, scones and vegetable-based sponges for yourself. We’re proud of how we do business, we take great pleasure in working with other independent enterprises, traditional sources, as well as ethically managed suppliers. 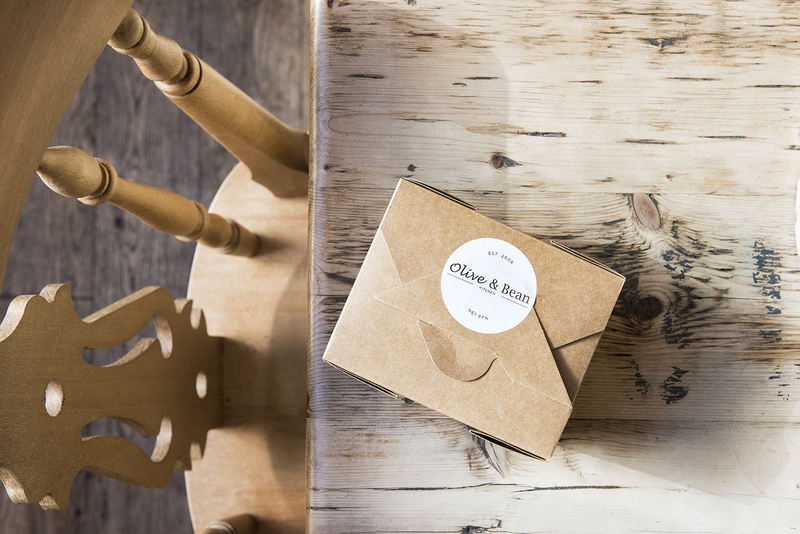 From coffee to chutney, it all matters to us at Olive & Bean. pleasure in working with other independent enterprises, traditional sources, as well as ethically managed suppliers. 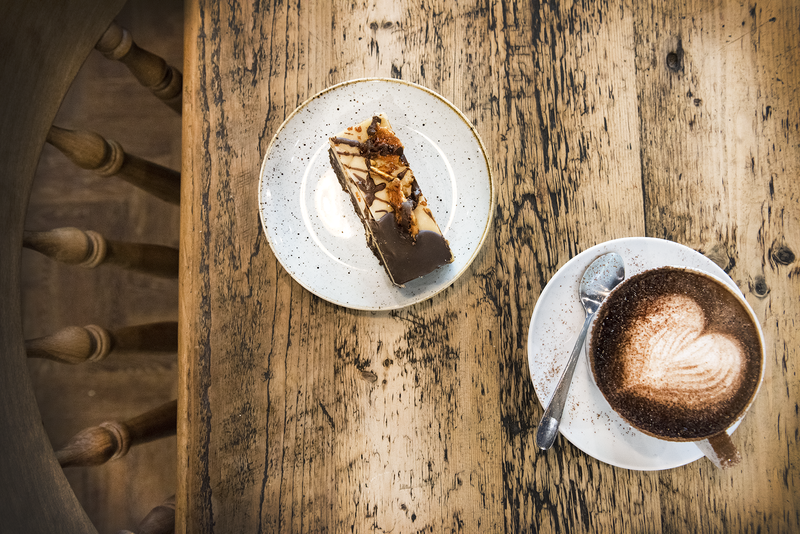 From coffee to chutney, it all matters to us at Olive & Bean. best to respond as soon as possible.